@moosepr I usually model buttons and d-pads after the SNES controller, just because it's such a classic size. 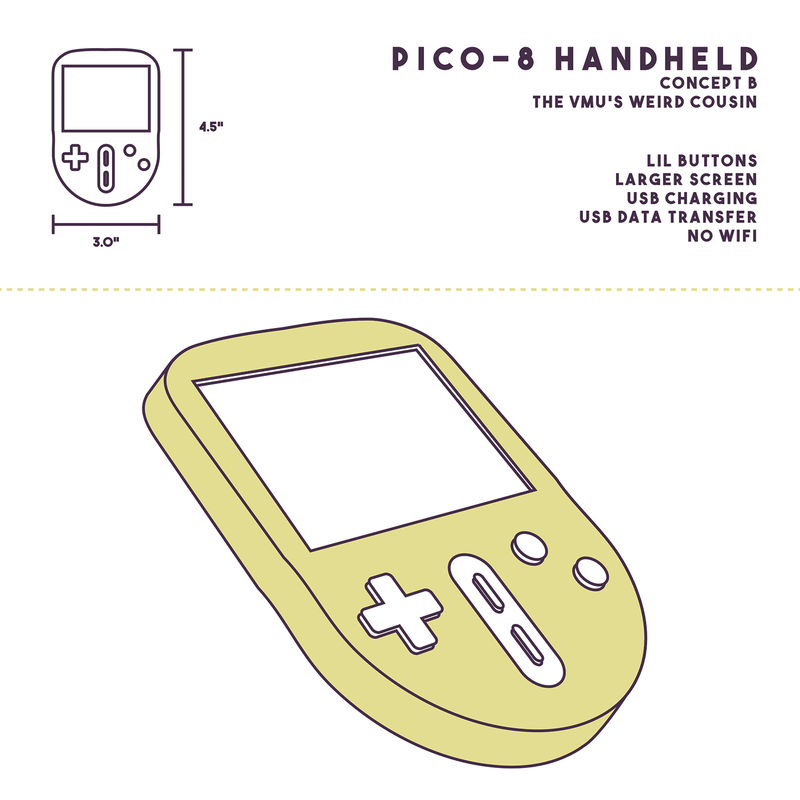 Might start using a similar size and layout to the Gameboy Pocket instead. I'm assuming that you're using a screen similar to this one, but I could be wrong. That's the sizing I used for the mockup. Are there any other screens you've considered using for your next build? The 1.5" diagonal sizing is a little ... well ... little! Of course, you're the one actually putting in the sweat and tears to build these things, so you absolutely should do whatever you like! Just giving my two cents, in the spirit of conversation. As for the physical media discussion, I love the idea aesthetically, but production costs and supply issues loom over the horizon. im just thinking that if we want to go to the trouble of making custom hardware, we should aim high!! Clearly zepton has a metric tonne of overdraw. We get really high fillrate in terms of PICO-8 CPU cycles, but for a real CPU it's a lot slower to fill memory. In fact, depending on data cache size, it could be really bad. If you do a lot of lua between draw calls, it'll easily flush a small dcache, since lua memory access patterns tend to be pretty chaotic and thus touch a lot of cache lines. 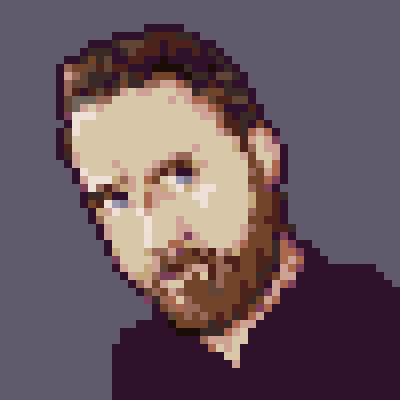 I wish PICO-8 were open source. 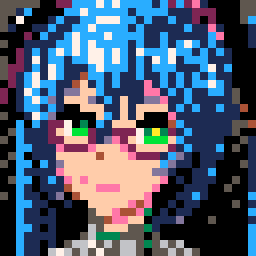 If there's anything I can make faster, it's a rasterizer. Okay, I'm not a *nix person so I only recall vague details, but I'd swear there were people a while back talking about getting PICO-8 to write direct to the display and that they figured out a way to do it. Don't quote me on that, I may be wrong about which exact bit of hardware they were trying to write directly to, but it might be worth some digging into the lexaloffle.com forum history. 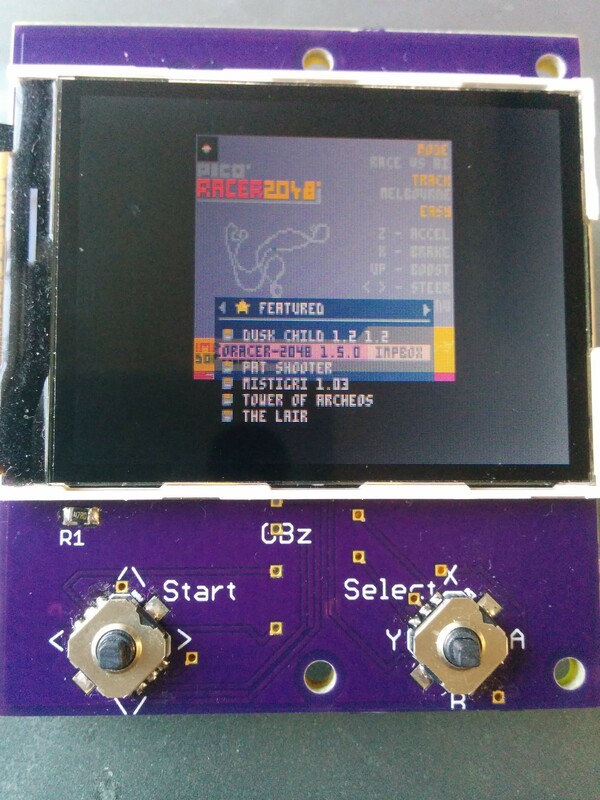 @moosepr For your teensy-gameboy project, are you able to place the buttons wherever you like? Or is their placement based on whichever board you're using? The buttons can technically go anywhere on the board, and the boards are my own custom design so it's pretty flexible. 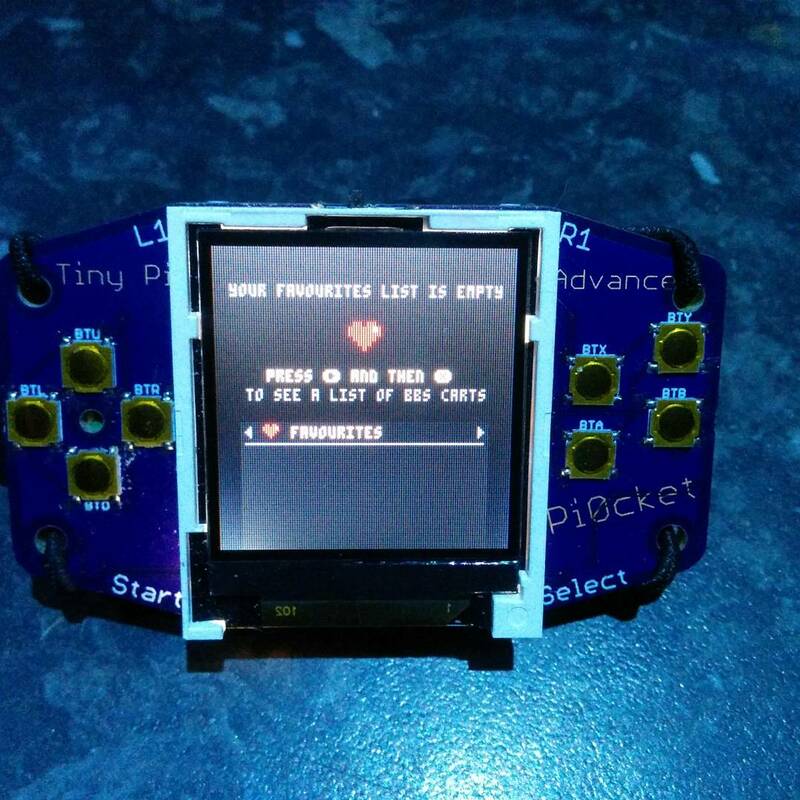 It's closer in size to your "Gameboy Zero But Smaller" project. Not sure how comfortable this would be to hold, with all the weight up top, but I like the idea of chiclet buttons laid out in alignment with the D-Pad. I mostly mentioned it because something about the single button in the middle bothered my modernized brain. :) It wants a select/start pair in there. But yes, I know PICO-8 doesn't have two. on a side note, i did a test on picopie which now has the tft code baked in. it boots in 10 seconds which is not too shabby!! it also feels like it runs a little faster, although that could just be me wanting it to run faster! I whipped up a variation on the last model, with a slightly larger case, more curves, a start/select pair for @Felice and DS Lite-sized buttons for @moosepr! Also, how do these SNES style controllers work with PICO-8? I've yet to get a digital D-pad controller to work with the RPi version. Xbox controller works fine but the direction keys are linked to the left analogue stick. Which is not ideal. @arashi256 I use the iBuffalo Classic Controller to play PICO-8 games on PC, and it works great for me! 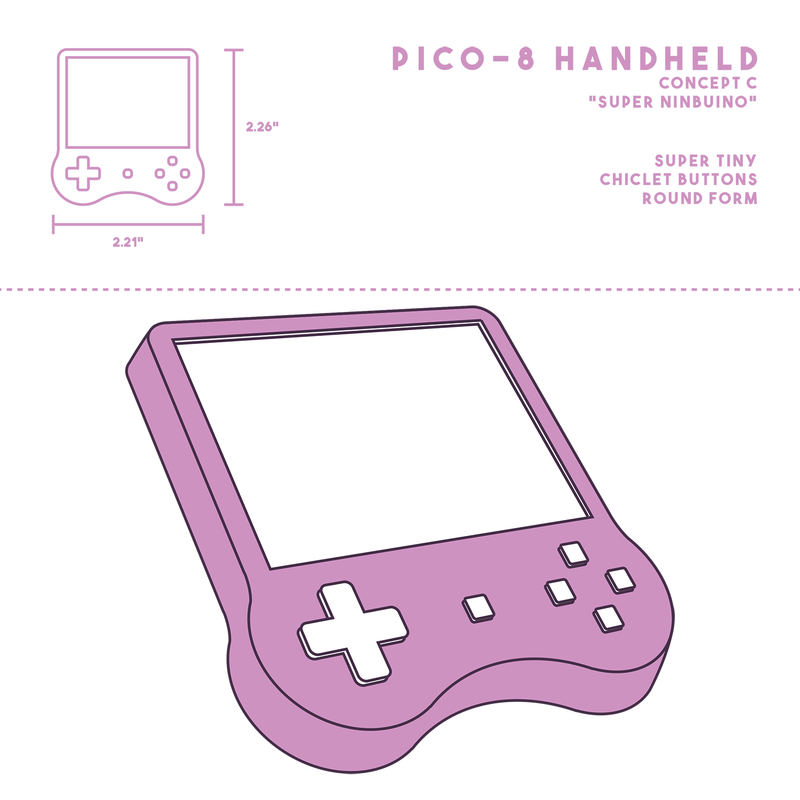 I just want to throw this out there, I found this thing a while back and it looks like it would be perfect for a little PICO-8 handheld. 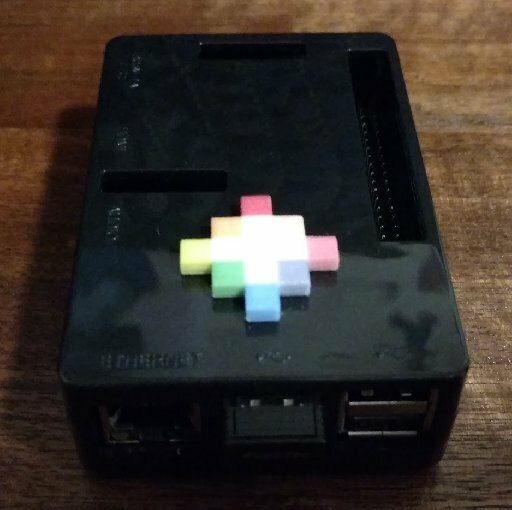 It has 128x128 resolution and is the size of a Raspberry Pi Zero. It has a joystick and 3 buttons. I don't really know how to make something like that work, but maybe it will be useful to someone else here. Maybe I'm misunderstanding the jargon, but a 5-position joystick sounds slightly concerning. You need 9 positions for most games (8 dirs plus neutral). @Felice they are the same 5-way joysticks that i use on mt TinyPi. Basically they have 4 directions (up,down,left,right) and then a centre click, giving you the 5 'ways'. @joseph3000: That board looks wicked. I'm guessing it's basically the same screen that @moosepr's Pi0CKET is using (is it) - just in landscape config? I mean, heck, that pad+lcd daughterboard costs less than an entry-level lego set! It's using a ST7735S controller. I can force it to work with the ST7735R driver, but there's some garbage in the bottom and right lines of pixels. I just plug it into my TV in the living room. Used with a wireless keyboard and mouse it's really fun to code from the couch. I don't think I'd like a handheld, it'd be too hard to develop as well as play. The case I chose isn't that great I guess but I like that it had a lot of open holes to help keep the rpi cool. Nice mock-ups / designs / hardware projects everyone! 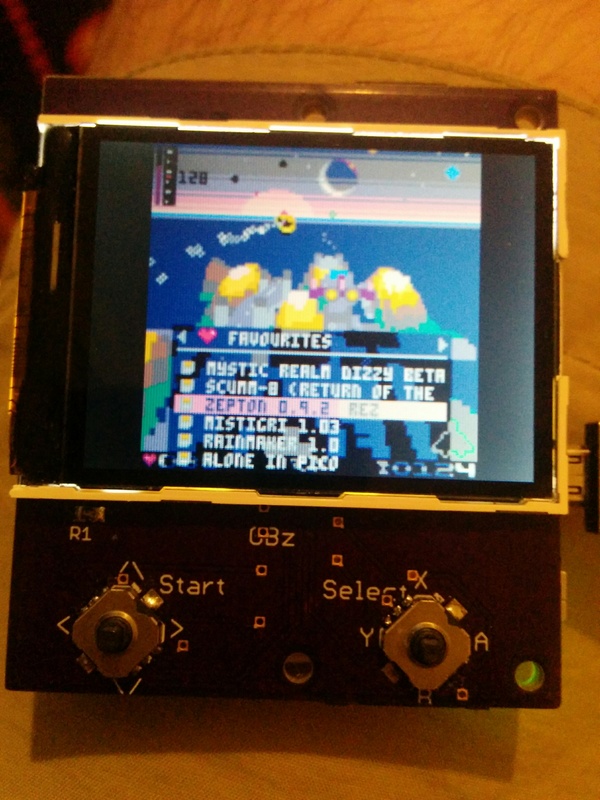 @moosepr Love that pi-gba! I've been thinking about this some more. For example the Game cartridges and the square resolution of the pico-8 reminds of a handheld gameboy-type console, while the fact that when you turn on your pico-8 you're immediately presented with the programming view / IDE reminds of old home-/micro-computers (for example the Commodore 128 had a built in sprite editor and abc-music notation in its Basic implementation). 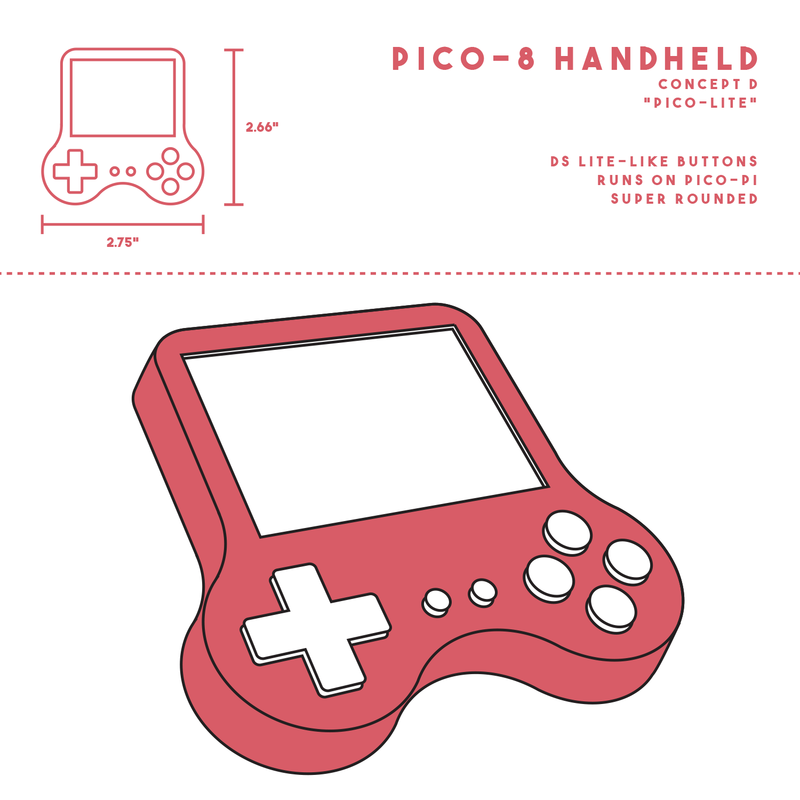 As a side note I've noticed that a lot of Kickstarter and Indiegogo kind of "home made" handheld consoles often seem to have quality issues with buttons and d-pads, which obviously makes you think that it's really hard making a high-quality handheld that pico-8 would deserve. I was actually thinking the other day, and I'm starting to think that the Pico-8 is something like the Atari XEGS. It's a game console with a keyboard (and mouse, in Pico's case) port on the side to expand towards being a computer. I believe OX is the standard.